The ATmega328P is the standard Arduino Uno and Nano processor. white, blue, green, yellow and black and depending on the scenario red must be attached. 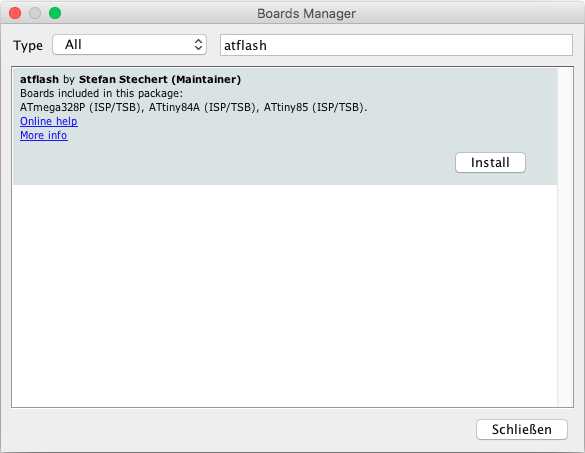 Here is the way how to install my ATFlash plugin into Arduino IDE. 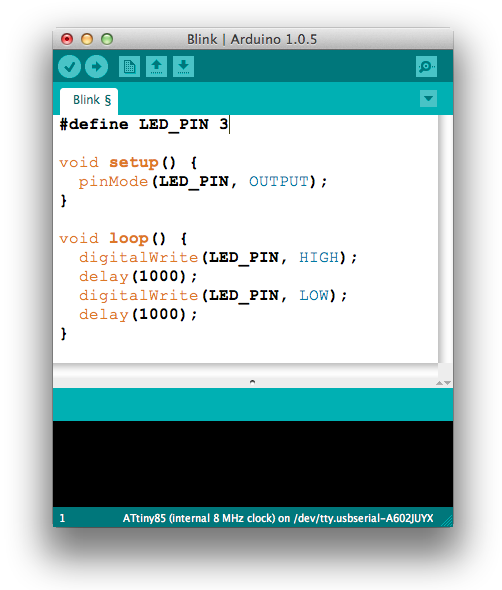 In order to flash ATtinys per ISP you could also go with the Original of David Mellis and for the ATmega take the original of Arduino but the latest has some errors on their website. 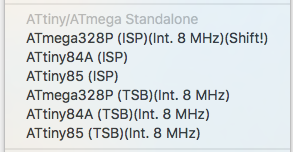 - Under Tools - Board - Boards Manager - search for "atflash" and click on "Install"
- Under Tools - Board - choose "ATtiny85 (ISP)"
- Under Tools - Programmer - "Arduino as ISP"
- The programm that you want to upload on the standalone chip (e.g. 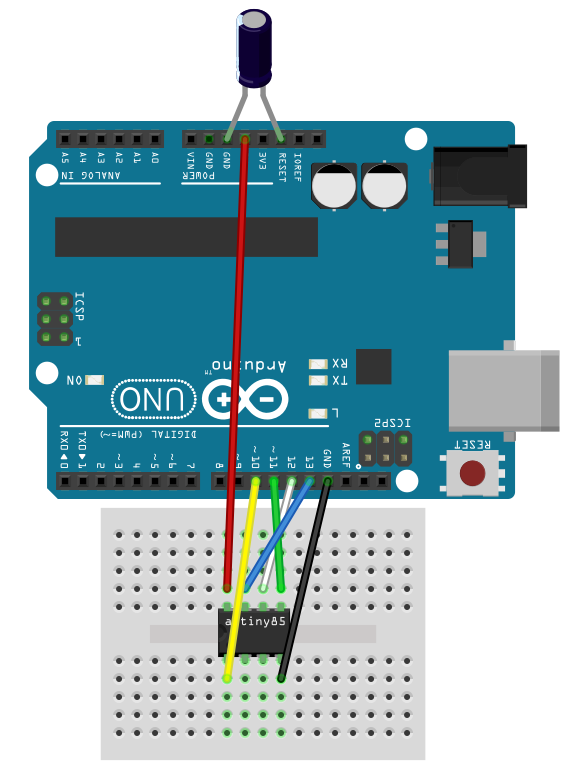 : Blink_N_Hello_World) has to be uploaded with pressing Shift key (for ATmega328P) and with the mouse the Upload button of Arduino IDE. - Using the Uno at Macs (is not applied for Windows) there is a bug in the device driver: After the flashing (which runs correct) the Uno does not go back to the flash mode (the LED "hangs"). Additionally the switching to the serial bridge mode by the button is not possible. I have not measured, if the connections goes to high resistance state again. For security and as the most easy workaround for this bug: press the reset button on the Uno board. Boards that are based on the FTDI chip like the Nano does not have this problem. - An error saying something with "...PAGEL..." can be ignored. - All other problems are most likely caused by one of these reasons: wrong wiring, choosing the wrong destination chip, and the missing 10 µF capacitor.